As you know these crafty ladies have been with us for a few months now and their having a hoot up in Scotland in the Boda bar with their monthly d.i.y. 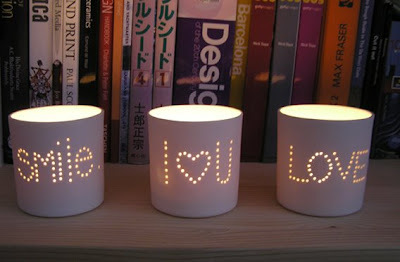 craft night. Word is they serve lashings of cakes...a sugar rush for crafting!!! It's official we now have a Brighton Craft Guerrilla! Chick has taken up the challenge and we know she'll do a great job. More details to come soon so keep those peepers peeled!!! 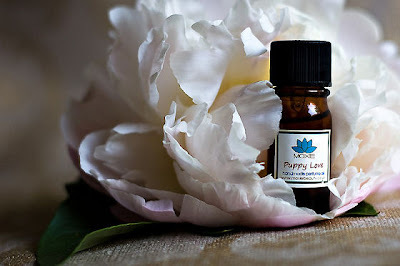 The blog will be active soon but in the mean time...why not join as a friend? 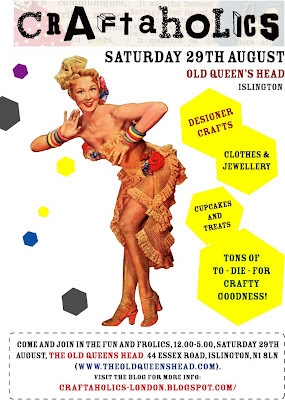 Our "Craftaholics" friends are hosting another craft fair at The Old Queens Head. Yes,that Queen's head! We love the Old Queens Head(it is our Crafternoon home) and our mates "Craftaholics"in equal amounts! Get down there on the Saturday the 29th and go get some crafty goodness! It is on the same Saturday as our little shindig but we know that and lets face it London is pretty well connected alas Islington is just down the road from Walthamstow Village.So no excuses. Here's your chance to overdoes on CRAFT and come to both!!! PLEASE note that our August date is the last of the outdoor summer craft market season in Beautiful Interiors. Expect lots of great offers including,cocktails,raffles and discounts! It's the "Sew Long Good Buy" event,a chance for us to say "aurevoir mes petit pois" with some craft laden hugs and kisses! "Toot toot, get on board the craft train!" The Craft Guerrilla girls are off to indietracks music festival to run a Crafternoon workshop (which we are thoroughly over excited about). Follow us to Derbyshire for Indietracks festival and free steam train rides - tickets are still available! See www.indietracks.co.uk for details of how to book. Shhh-de-chuff / shhh-de-chuff / Toot-toooot! Come on Ivor, we've got to get to the East London Craft Guerrilla gals to Indietracks! Sunday 26th of July from 4pm at the craft wig wam. Craft Werk summer craft fair! 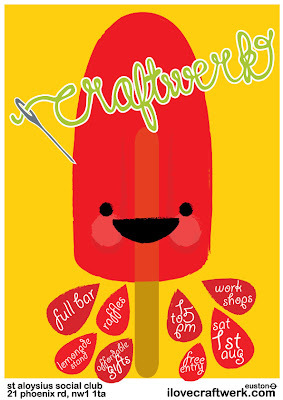 We love our Craft Werk friends and we wish them all the best for their fab summer fair! Our taste buds have been tickled...we hear that Tatty Divine will be there with a lovely perspex ice cream cart!! !There's also a classic American-style lemonade stand while the people from Wills Moody beat the heat selling vintage goodies in their version of a yard sale and a seaside cut-out photo op area! OOOHHHH ice cream,lemonade,craft and a soveneir or two ...a recipe for a mighty fine summers day! The social club is on the corner of eversholt & phoenix road. Like what you see? Well my lovelies it is our Hand Made Summer Craft Market Season and so we will be putting down roots once again in the Beautiful Interiors shop garden on Saturday the 18th! 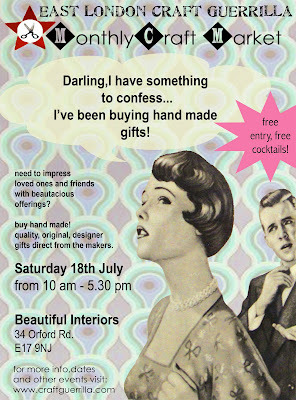 Join us for a free cocktail (or two) and shop till you drop in this oasis of hand made loveliness!Here's your chance to buy direct from the very talented designer makers! 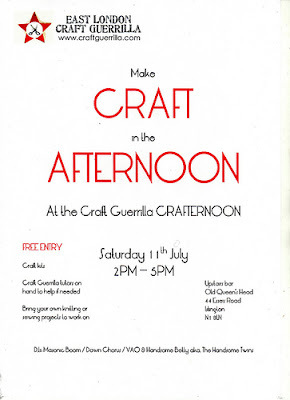 Join us on Saturday the 11th for an afternoon of crafting pleasure...that's why we called it a Crafternoon! Projects are available to purchase but please feel free to bring your own. Relax and make in a friendly creative setting in the company of other crafty people. In house tutors will be on hand to help you should you need a hand. Guest DJ's, vintage board games,guest tutors and more! Upstairs in the Victorian Room,The Old Queen's Head, Essex Rd. Islington. free entry. Our friends as BUST are looking for talented designer makers so please visit the web link below and contact Vikki for further info. Call for applications: 2009 BUST Summer Craftacular – London. August 22. BUST Magazine's London Summer Craftacular is a shopping bonanza running from 12pm until 8pm at the York Hall, Bethnal Green, London, featuring crafters, DJs, drinks and dancing. Shoppers can down a pint or sip a spritzer as they browse through hundreds of the best in handmade gifts and essential summer accessories, from handbags and ornaments to jewellery, clothing and cards. Following the success of the Christmas event, BUST Magazine will be hand-picking over 55 of the most unique and talented crafters from across the UK to attend. A vendor table costs £70. The deadline for Applications is July 13, 2009. 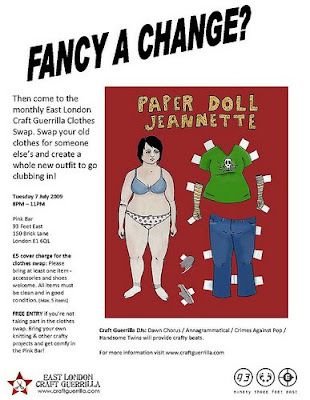 Clothes Swap this Tuesday at 93 feet east! in the Pink Bar at 93 Feet East on Tuesday 7th July 8PM - 11PM. Bring your unwanted clothes, accessories and shoes (as long as they're clean and in good condition) and swap them for something "new to you" from someone else. Please bring at least one item and a maximum of five items to swap. Remember: One person's junk is another person's treasure! BUT no rags or tatty clothing...we want stuff you still love but no longer wear! Cost: £5 to take part in the swap or free entry if you're not swapping and just bringing your own crafty projects to work on. 18th July. make a date with "hand made"
This month our monthly craft market will be a week early. That's so you don't have to miss out on tons of gorgeous hand made goodies! We're off to the Indie Tracks festival to host our first festival workshop at the end of the month...so that's why we're going to be a little bit earlier then usual. It's back to normal in August: Saturday 29th. So hope to see you soon. This coming Tuesday, 7th of July we'll be packing our buttons,trims and sewing kits as we say goodbye to 93 feet east. Thanks to everyone that came to our "fancy something new" cloths swaparama and for the nice people at 93 feet east for having us there.It was fun but it wasn't the right venue. Even though we love Brick Lane and 93 feet east it didn't quite take off. We gave it a go and we will be back in future with more fun events. Cloths swapping is something we're in favour of and part of our make do and mend,recycling ethos so expect to see us again pushing the message! 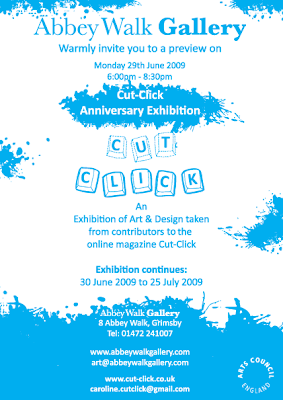 The Craft Guerrilla guys and gals are well excited about taking part in CUT- CLICK magazine's 1st anniversary exhibition. Cut-click is an innovative online magazine for art & design. The exhibition curated by the magazines creators Daniel Baker and Caroline Twidle celebrates their first anniversary of publication. The exhibition will feature a selection of original mixed media work by national and international artists and designers who have contributed to cut-click during their inaugural year. The exhibition is part of N.E Lincs Arts Forum Festival 2009.